1943 P 1CENT LINCOLN WHEAT CENT. ZINC COATED STEEL. WORLD WAR 2. 1943 was a very critical year for the U.S. and the U.S. Mint. America was in the midst of World War II, and there were alarming concerns because of copper shortages needed for artillery used to fight the war. As a result, it affected the U.S. Mint and hundreds of millions of 1943 Lincoln cents. The U.S. Government’s response was to cease the production of all Lincoln cent coins, primarily because they were made out of copper. The U.S. Mint was left with the task of transforming the Lincoln cent coins metal composition. The end result would be that all 1943 cents were now composed of mostly steel content with a 5% mixture of zinc. Philadelphia 1943 Cents have the highest mintage from all three steel cents this year. It has about three times a higher mintage than each of the Denver and San Francisco 1943 steel cents. All 1943 dated cents were struck with fairly new dies. 1943 dies were replaced much quicker than prior dated Lincoln cent dies, primarily, because of the hardness of the steel cent planchets. The striking point between both the obverse and the reverse dies was also minimized, in order to obtain a better strike and sharper surfaces. The striking pressure was also increased to create optimum coin design features. 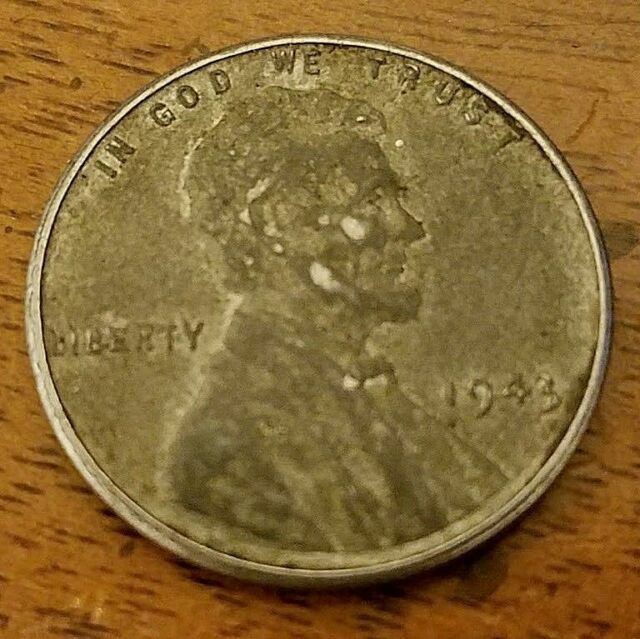 This is the reason why there are more 1943 wheat cents in high grades of MS68 or in higher condition than any other wheat cent from 1909–1959 and including all memorial cents struck from 1959 to 1983. Most all 1943 steel cents in MS65 condition or higher, display great eye appeal and vibrant and original luster. From all three different mint mark steel cents struck in1943, the Philadelphia 1943 cents are the scarcest in MS68 grades or higher. About 75 total examples survive in MS68 grades. 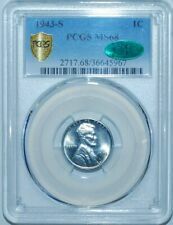 As of 2010, PCGS has not graded one example in MS69 grade or higher. There are several different varieties and errors for this date and mint mark. The most famous of all are the 1943 error coins which were accidentally struck on copper planchets. There is also a significant doubled die for this date and mint mark. item 3 LQQK-1943 P 1C LINCOLN STEEL WHEAT CENT-GOOD-VG-LQQK! FREE SHIPPING!! -LQQK-1943 P 1C LINCOLN STEEL WHEAT CENT-GOOD-VG-LQQK! FREE SHIPPING!! item 4 🇺🇸 1943-P LINCOLN STEEL WHEAT PENNY SALE $1.50 EACH RARE COIN + FREE SHIPPING! -🇺🇸 1943-P LINCOLN STEEL WHEAT PENNY SALE $1.50 EACH RARE COIN + FREE SHIPPING! Reviews of coins and currency are pointless and confusing for buyers. No two items are exactly the same, with various possible conditions and varieties. A review of this, or any other numismatic item, should in no way be considered applicable to the actual item available for sale. 3 of 50 are not terrible. 3 of 50 coins are not bad and can go in my nephew's collection until he gets good coins. No way worth anything close to what I paid. Metal detector finds maybe. Such poor quality. If you buy some, good luck. Can't even read most of the dates. If you need rust, I can send you some of mine.